A literature review focusing on youth with disabilities and their transition from school to work and school to post-secondary education. 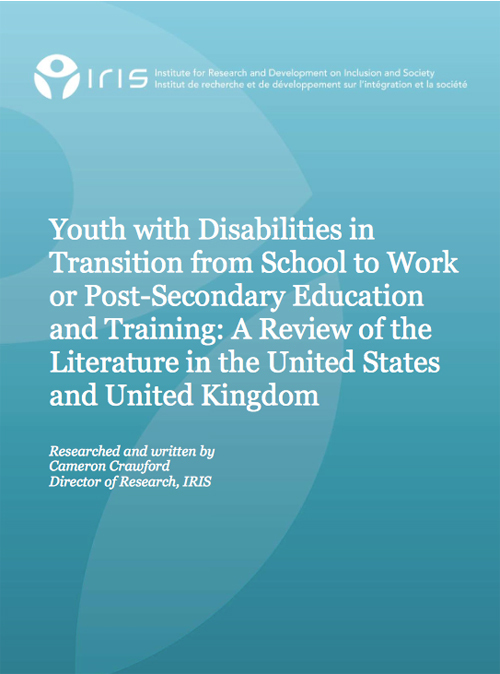 Using research from the United States and the United Kingdom, the paper seeks to identify the unique situations and circumstances faced by youth with disabilities. By taking a deeper look, the paper discusses the lack of proper data on the unique challenges faced by said youth and their transition. Without adequate data, policy developers are unable to create inclusive policies which reflect the needs of this population.